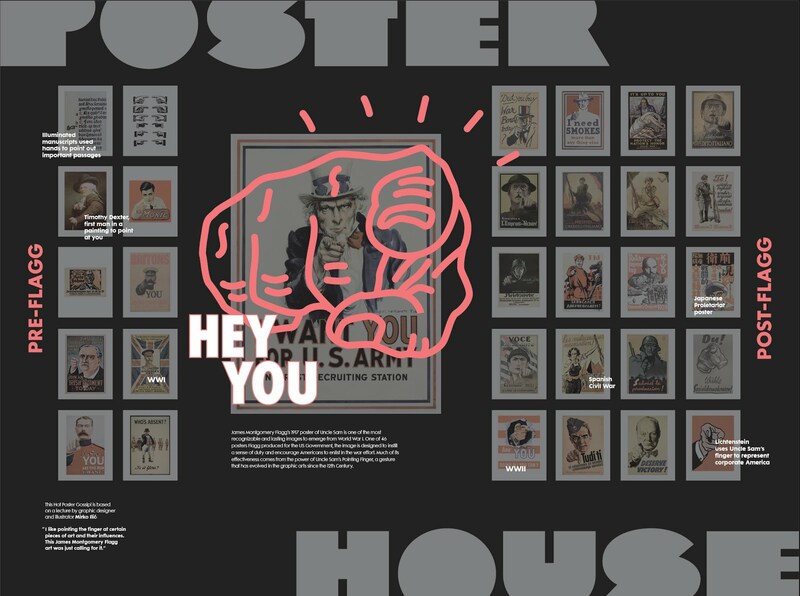 Today Poster House (119 West 23rd Street) unveiled a new window display for their Hot Poster Gossip series, which will be on view until the end of March. The window display is an adaptation of my lecture Pointing Finger, which I gave at the Museum of the City of New York in 2017. The lecture was about the history of the pointed finger appearing in art and poster design. The window design was created by Ola Baldych.